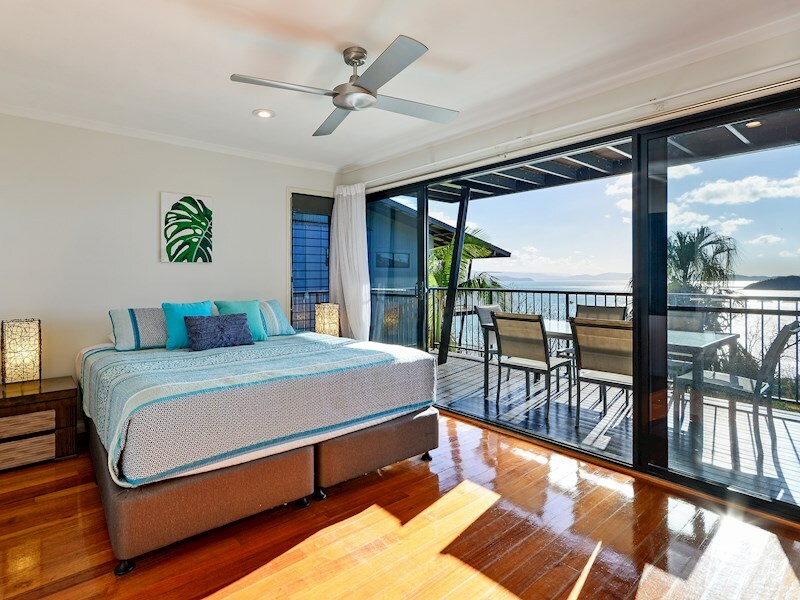 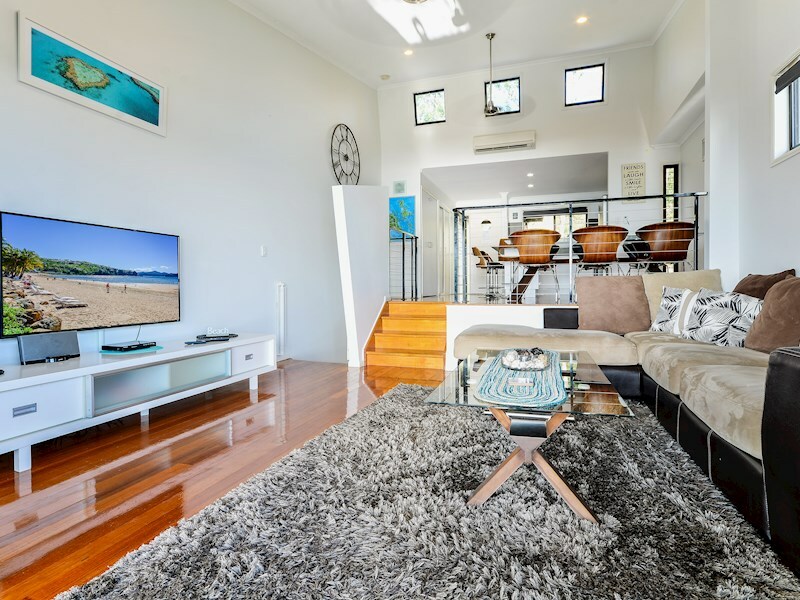 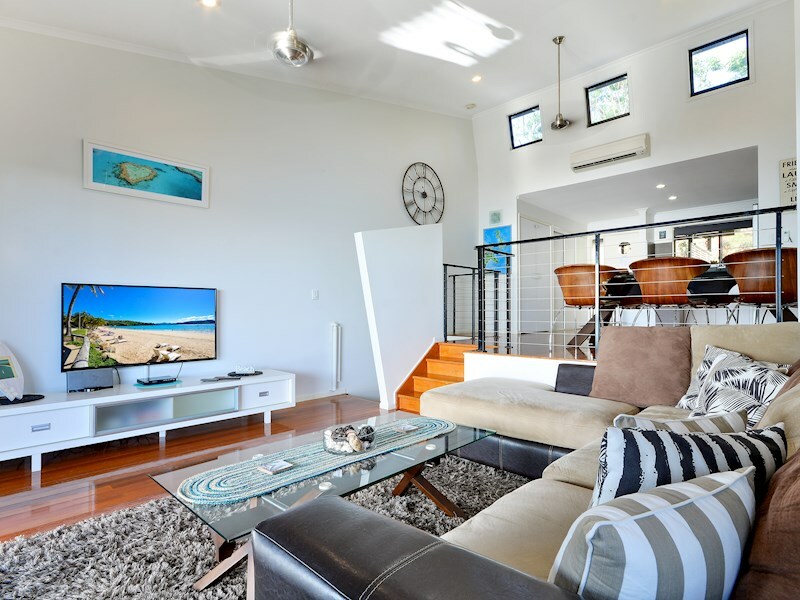 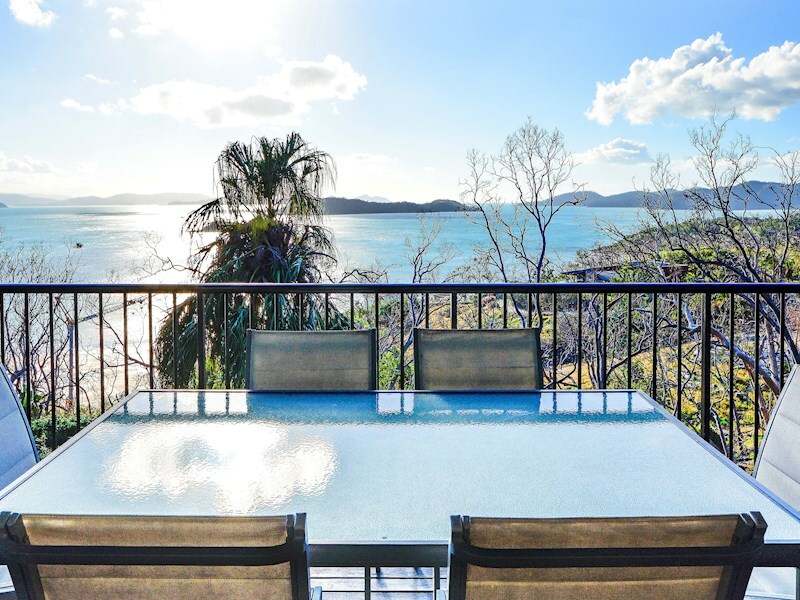 This bright, modern, split-level apartment is located on the marina-side of Hamilton Island and offers two spacious bedrooms and a newly renovated interior. 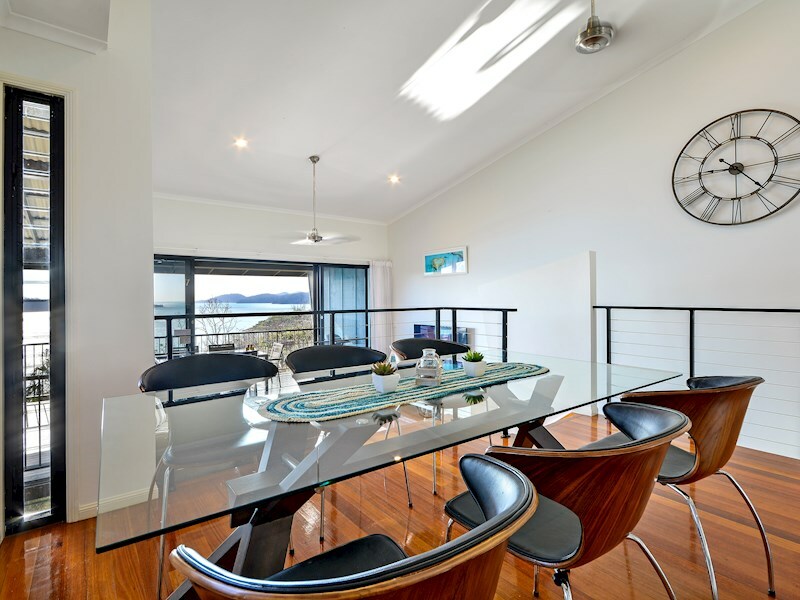 Enjoy spectacular water views from almost every angle in this bright, elevated apartment. 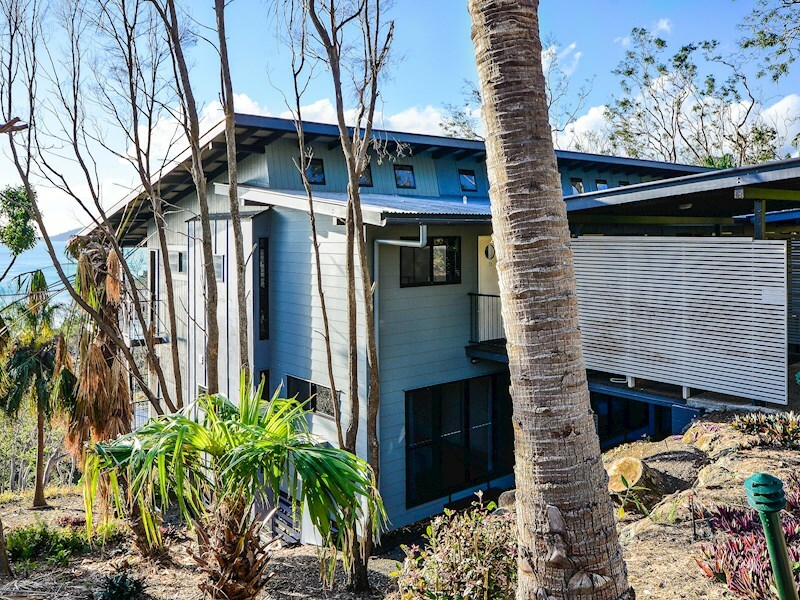 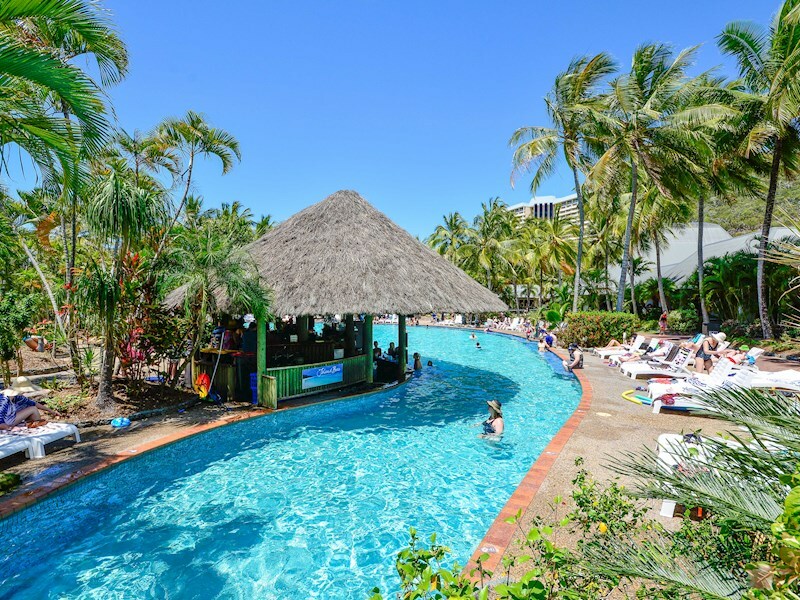 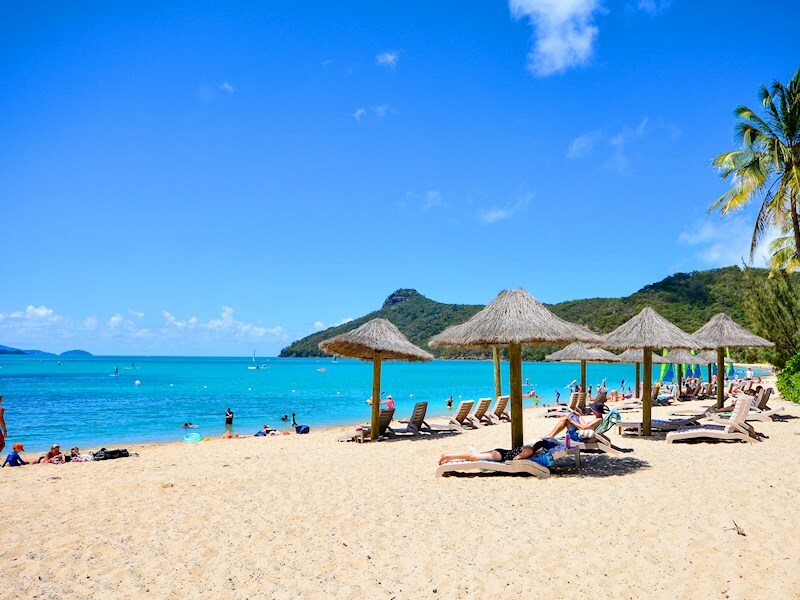 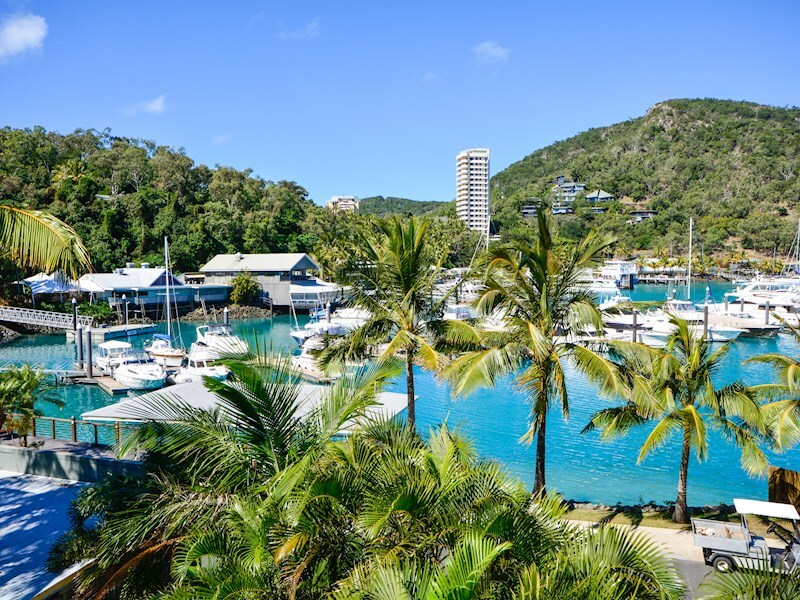 Situated on the marina side of the island, you're a short walk to the Hamilton Island Yacht Club and Front Street, and just a quick buggy ride to all of the island's key attractions. 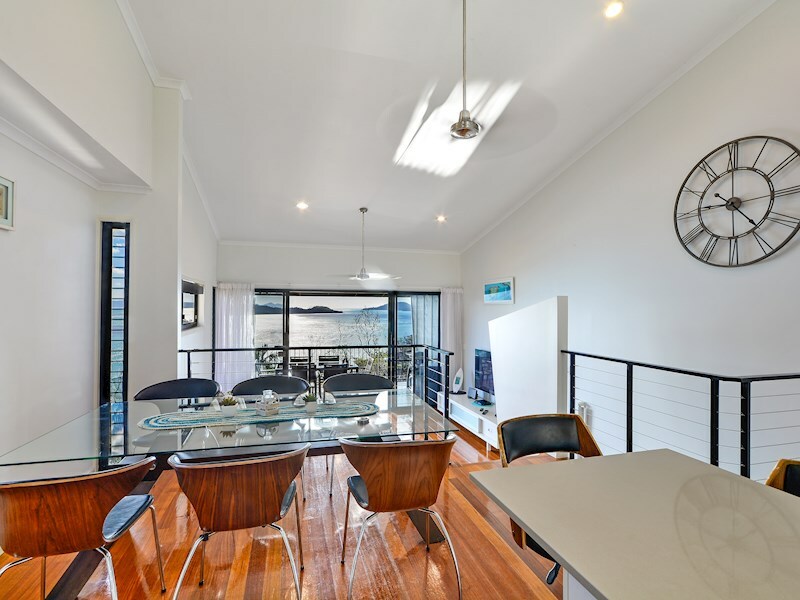 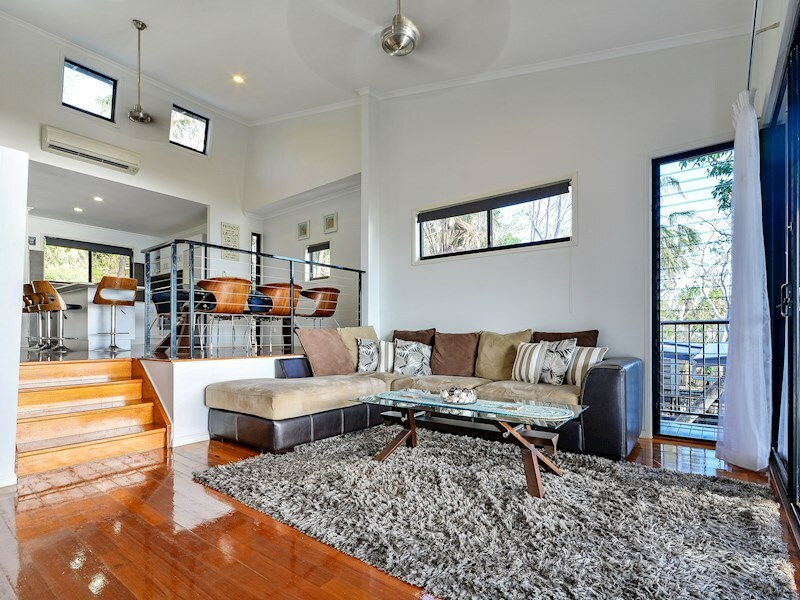 This split level apartment is ideal for couples or families. 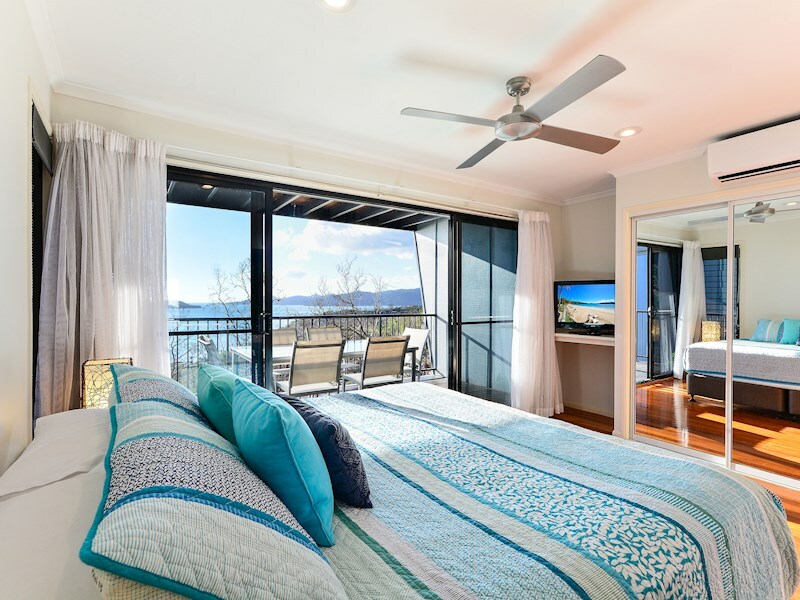 The main bedroom has a king size bed, LCD TV, an ensuite, and opens directly to a spacious balcony with water views. 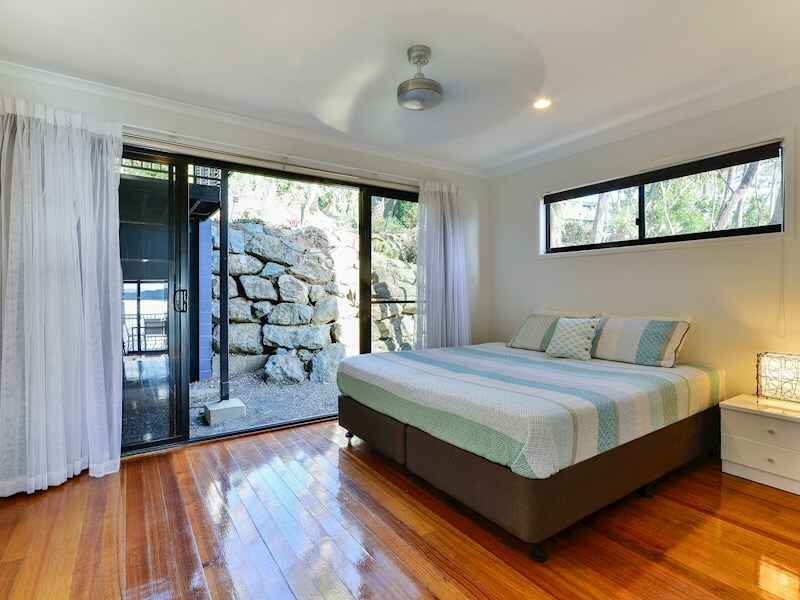 The second bedroom can include a king size bed or two large singles and has its own bathroom, LCD TV and DVD player. 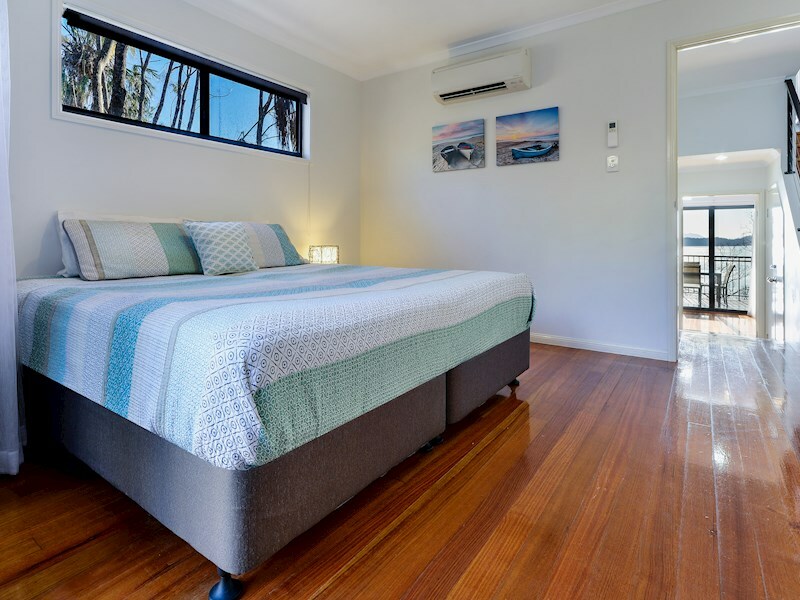 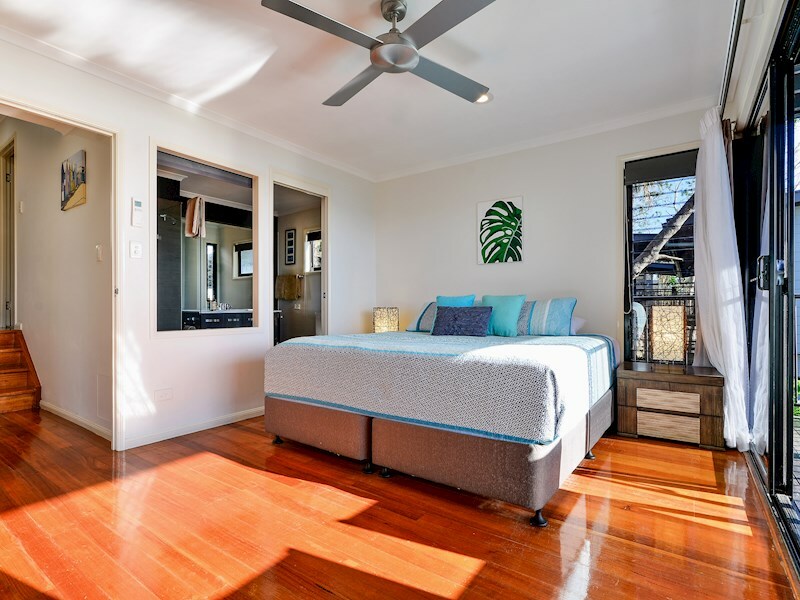 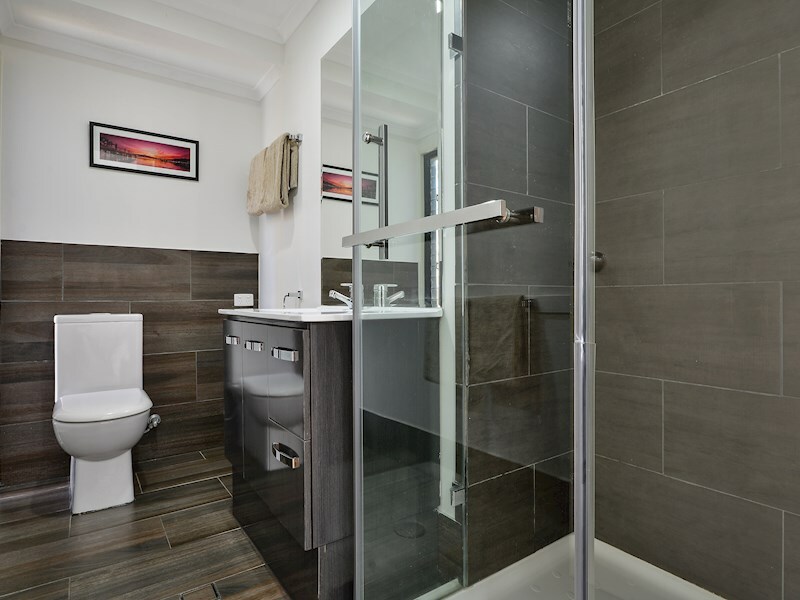 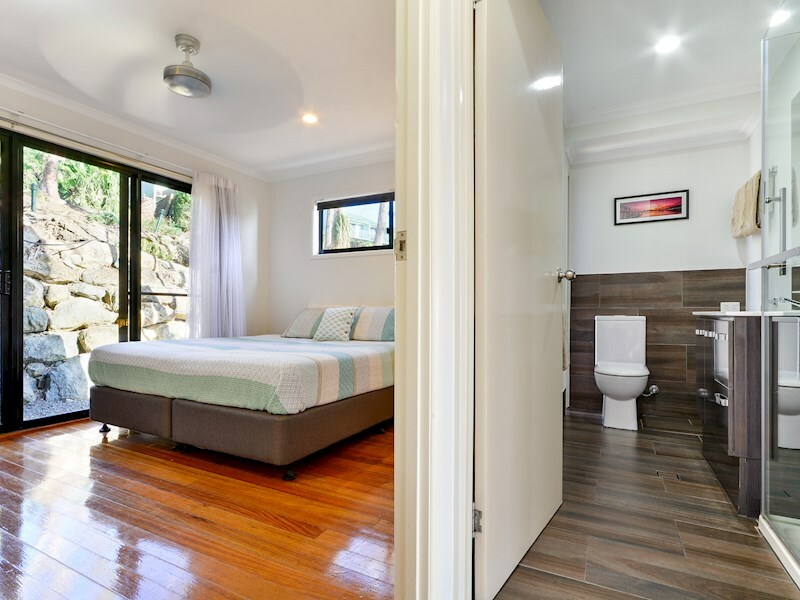 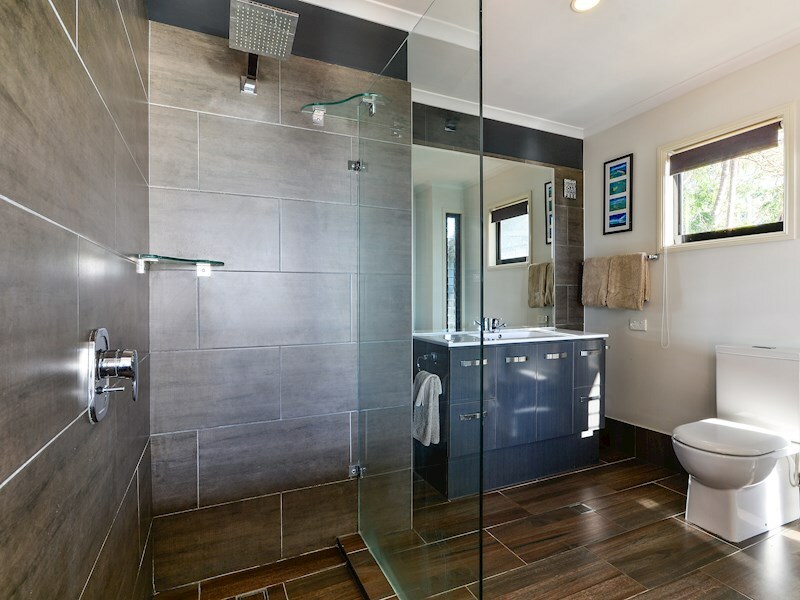 This newly renovated apartment features timber floorboards throughout, a sleek new kitchen, modern bathrooms, air-conditioning, ceiling fans, a clothes dryer, full oven and LCD TVs. 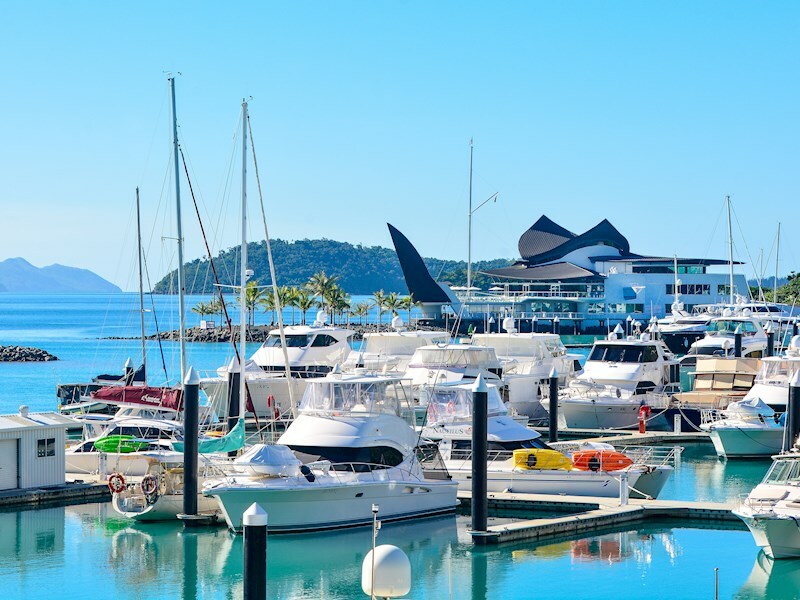 In addition to a complimentary buggy, you also receive a Hamilton Island starter pack upon arrival. 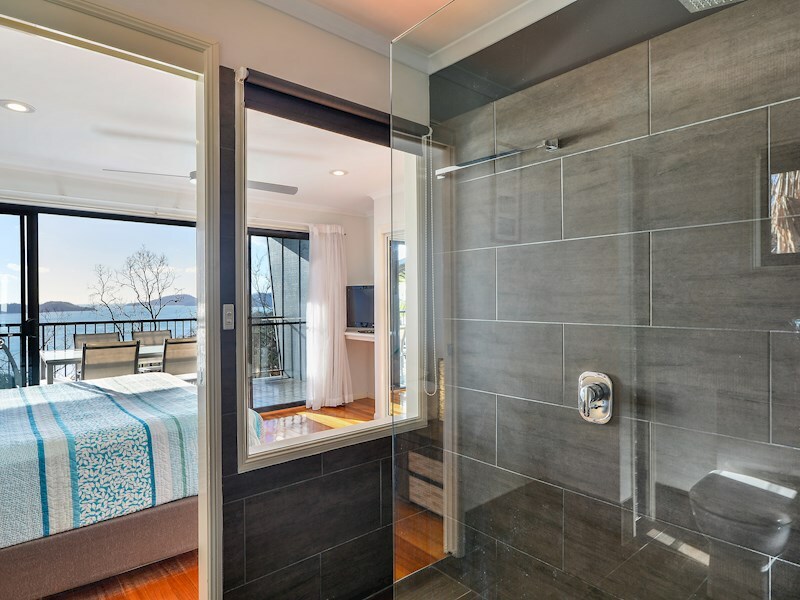 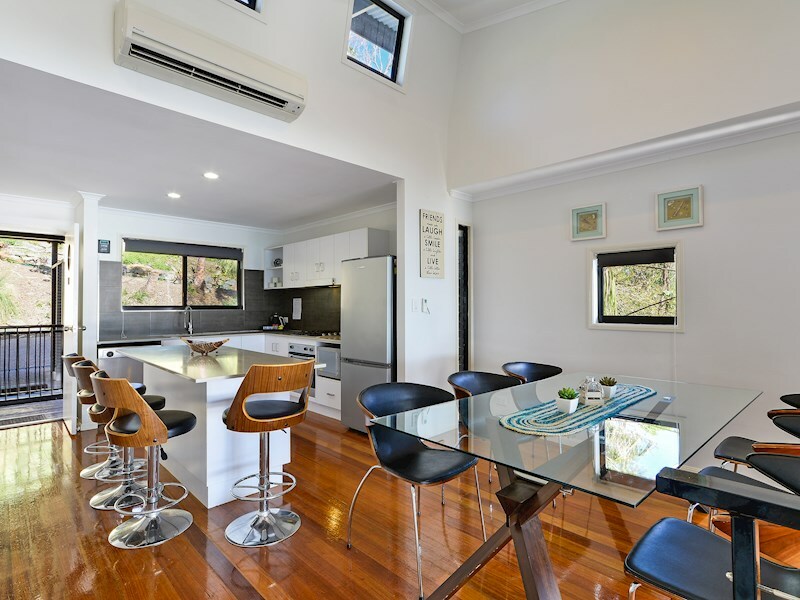 When you're not exploring Hamilton Island's wide range of restaurants and cafes, this apartment's well-equipped, open plan kitchen makes self-catering a breeze. 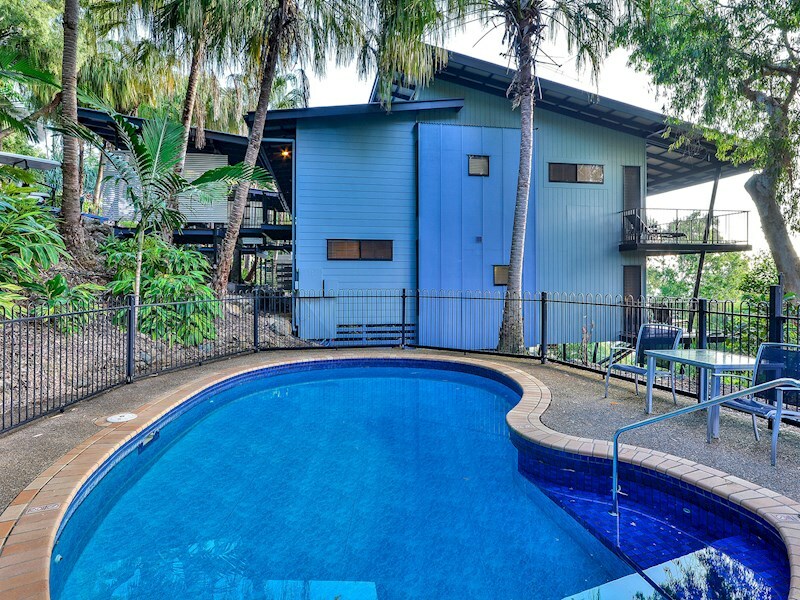 As a guest of Panorama 13, you can enjoy the complex's shared pool, spa and BBQ area. 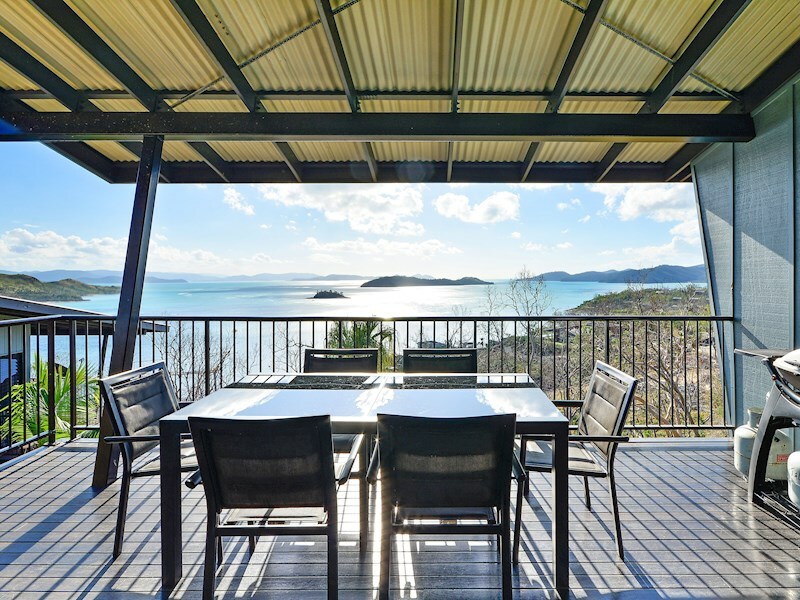 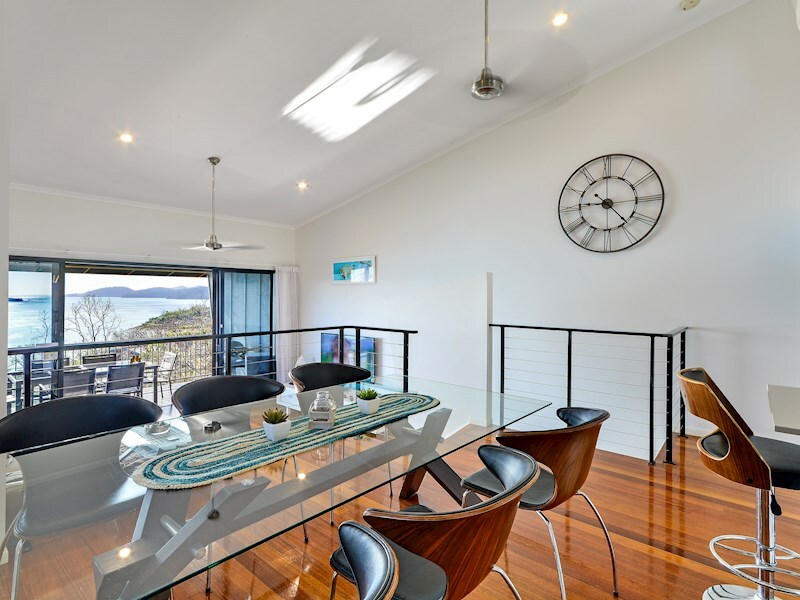 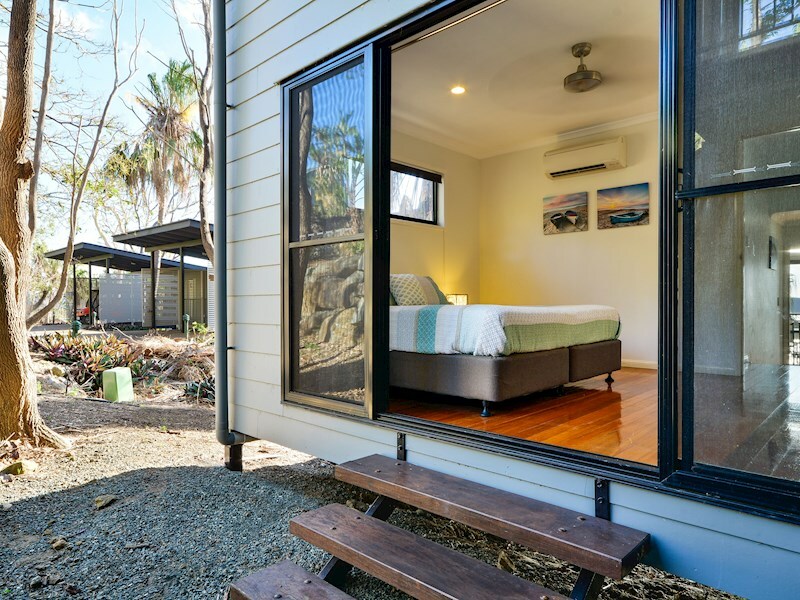 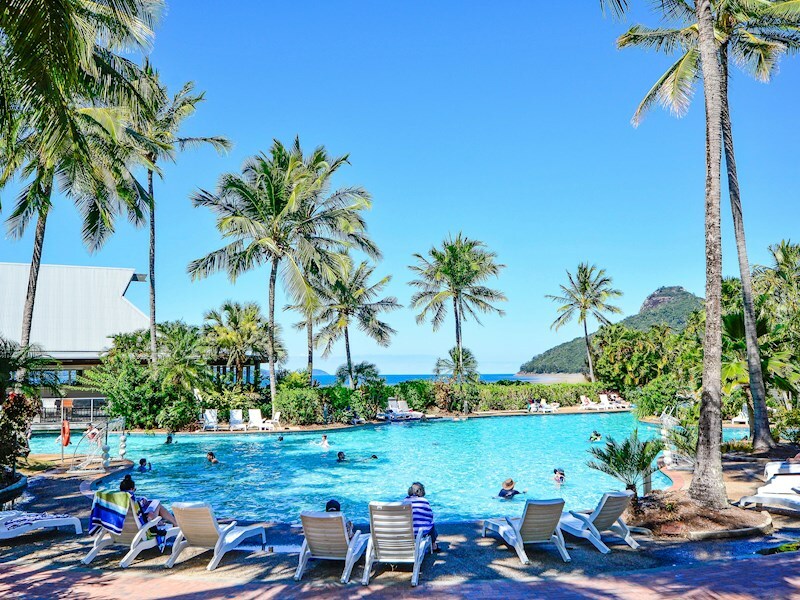 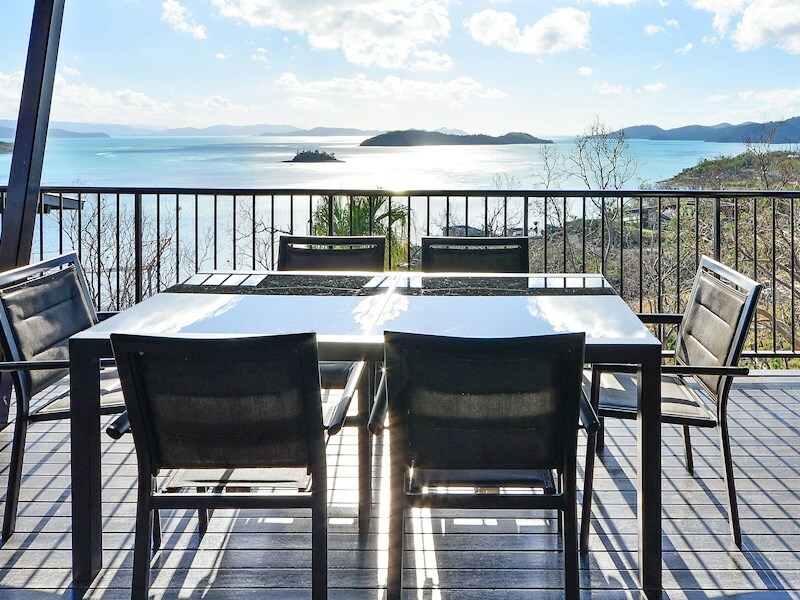 Make the most of Hamilton Island's beautiful weather, and admire the turquoise waters of the Whitsundays, from your covered outdoor balcony which includes a dining table for 6 people and a BBQ.